BROOKSVILLE, Fla. — A Farm Service Agency office in Brooksville is closed as part of the federal government shutdown. But when we looked through the window, we could see everything on a desk. But what really stuck out was a list of names with social security numbers exposed for anyone to see. We contacted several of those on the list including Lutz cattle rancher Henry King. “Unbelievable. And they are the ones that supposed to be protecting my identity?” he asked. Ranchers and farmers we talked to say this office has been a big help in getting government assistance in the past. But obviously, someone made a mistake as the office closed. Other forms were left on the desk too. “I’ve dealt with the government my whole life, and they do not operate like any business in America. Let’s put it that way. Because they don’t have to,” said King. 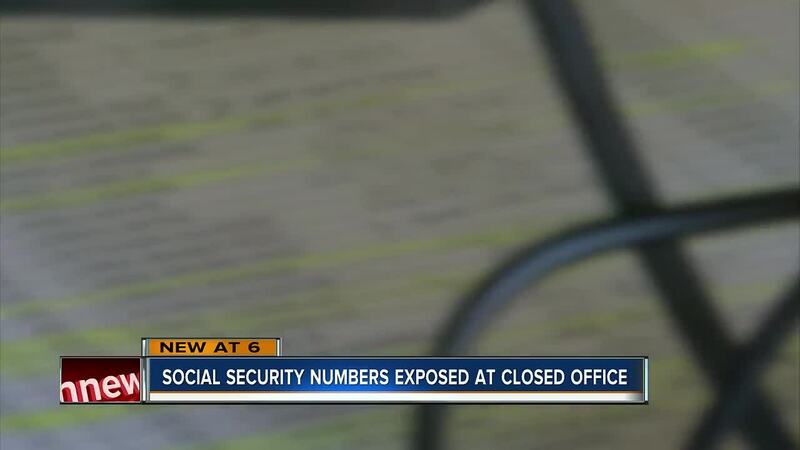 We aren’t sure just how long those social security numbers were out in the open, but after we started looking around, someone put them away. The Department of Agriculture says they are looking into the issue. Meanwhile Henry says he’s in no rush for the government offices to reopen. “They can start with Congress. Fire them. Send them all home. That would save a lot of money,” he said. The United States Department of Agriculture tells ABC Action News it "takes the privacy of its customers seriously and has taken steps to secure information that may have been improperly stored at a county office. The department is taking steps to investigate what might have occurred."